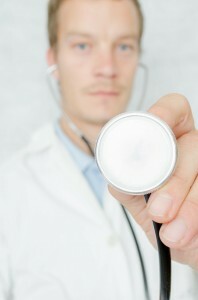 Once there, apply for the exemption by showing proof of your health insurance in your home country. Usually, you do so with the help of the following forms: Health insurance certificate (EU countries: EHIC-card!, Turkey: T/A 11). 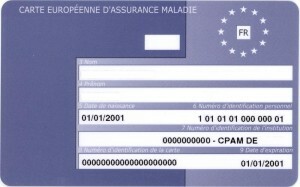 Then you will obtain your insurance card, which you need when you go to a doctor. Please note: the E 111-form or a travel insurance is not sufficient – it only covers emergency cases/ accidents!!!!! Be sure to get two „exemption from health insurance“ forms. 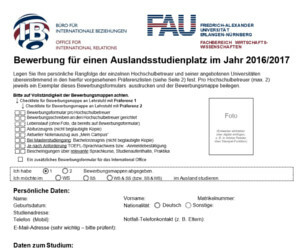 One you’ll need for the enrolment in Erlangen, and the other one to hand in later at the Einwohnermelde-amt. If you are privately insured in your home country, your insurance company has to prove that it fulfils the requirements of §7 Part 2 of the EU ordinance of freedom of movement. b) For the others: We recommend that all students from countries which do NOT have an agreement with Germany on social insurance join a German health insurance. The reason is that the insurance coverage from your home country has often been found to be insufficient. We advise you to take out health insurance with a statutory health insurance company like the TK, AOK or DAK (see above), because it is quite convenient and cheap. Monthly fees are about 59 EURO. Good news I: Since April 2001 no more medical examinations and HIV-tests are required. Good news II: We are looking forward to have a servicepoint of one of these health insurance companies directly on campus in the first week of the semester.